Lesson Magazine One More Step To Success: How to build money discipline? One More Step To Success: How to build money discipline? 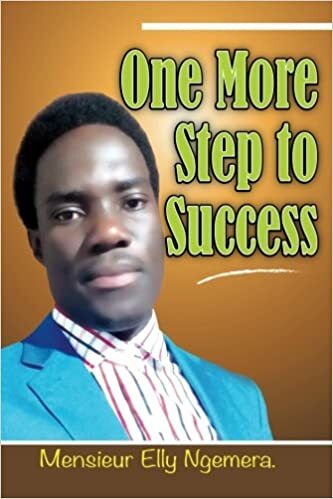 Mensieur Elly Ngemera is the author, inspiration speaker, web designer, CYCA coordinator, project motivator, researcher and farmer, he came up with the book ''ONE MORE STEP TO SUCCESS'' that reveal the source of un regrettable success, money discipline, health relationship and many interesting chapters that could help the leader to move to the next level.However a good success is within a God and anything someone search outside the presence of Almighty is vain and it cannot take anyone anywhere, hence someone will keep hopping i wish i could have done this or that. Saidia mamilioni ya yatima kupitia support yako ya nguvu pale ununuapo kitabu hiki. kwa kila copy ununuayo 5% uwafikia walengwa. KUWA SEHEMU YA MSAADA KWA YATIMA, UJIWEKEE HAZINA MBINGUNI.